This article will guide you through the process of installing and configuring your OpenCart store to allow Dynamic Creative Ad Builder to export your website data via REST API. To install the OpenCart API Extension you will need to ensure you have FTP enabled on your OpenCart site. 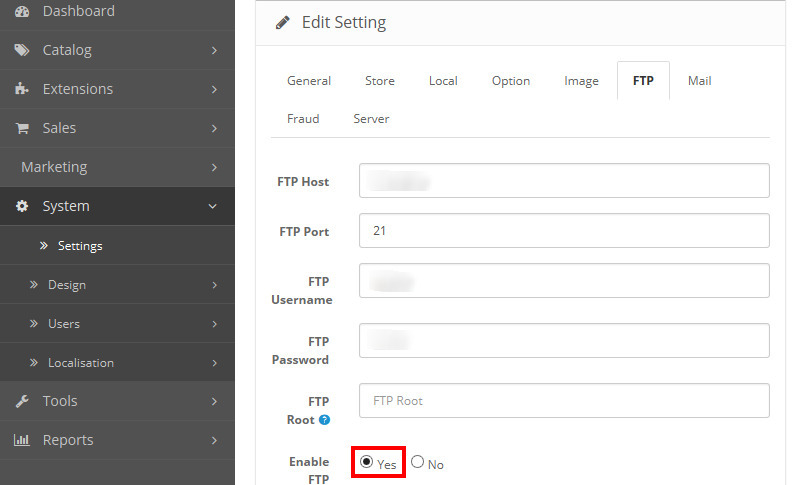 To do this, from your OpenCart admin panel, go to System > Settings > Edit current store, go to the FTP section and ensure Enable FTP is set to "Yes"
Download the API Extension using this link. 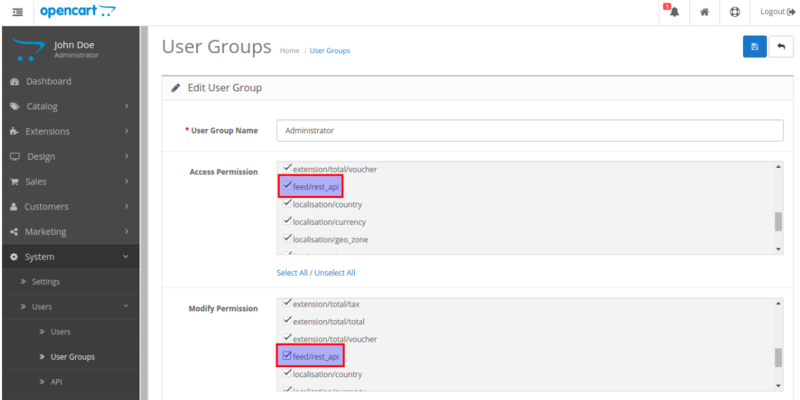 Once uploaded, you will need to ensure your user group has the appropriate access permissions enabled. To do this, navigate to System > Users > User Groups and edit your user group. Under both Access Permission & Modify Permission, ensure that 'feed/rest_api' is checked. From your OpenCart admin panel, navigate to Extensions > Extension Installer > Extensions and select Feeds from the dropdown. Under "Rest API", click the green + icon to install the extension. Note: Once installed you can return to System > Settings > Edit current store > FTP and disable FTP. From your OpenCart admin panel, navigate to System > Users > API and click on the blue + icon to create a new API username/key. 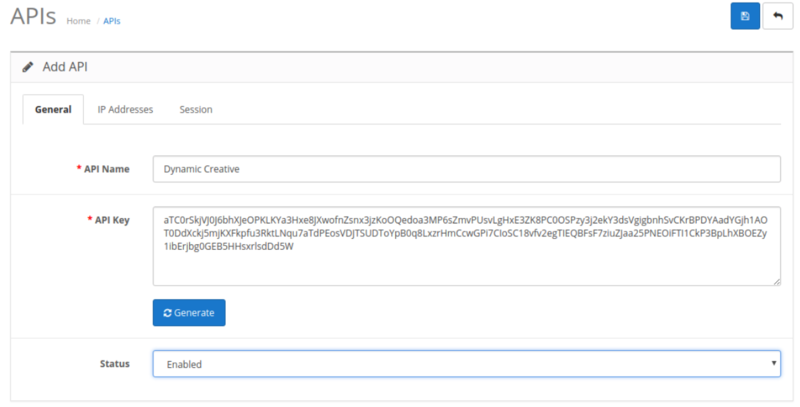 Note: You will use this API Username and API Key to connect your site to Dynamic Creative Ad Builder. Return to Integrate Your OpenCart Site and proceed with the Generating the Feed steps.